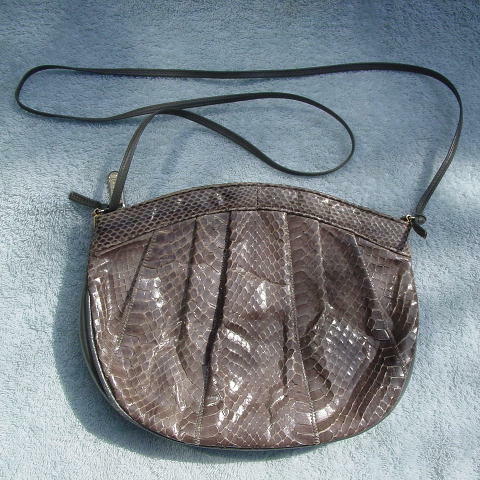 This vintage dark gray snakeskin purse is by Palizzio. It has an arched top rim with a top side to side zipper opening. 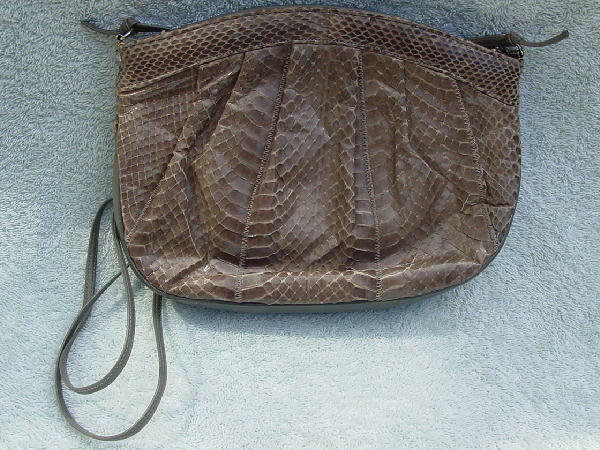 There is a thin gray 44" long leather strap which can be untied so you can carry the purse as a clutch. The top interior rim is in gray leather, and so are the sides and bottom. The lining is a nice thick ridged black fabric, and there are two interior compartments, one that has a zipper and one that is open. The front and back have pleats extending downward from the top horizontal panels.